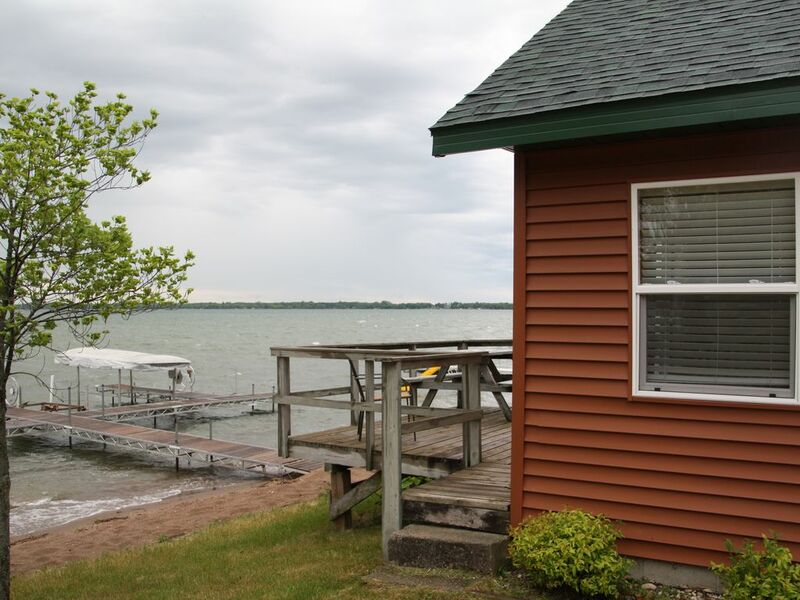 This cabin is most known for its views of Otter Tail Lake from inside the cabin or on the private deck right on the water. Part of a family resort on beautiful Otter Tail Lake known for its Walleye. The Lake is also abundant with Jumbo Perch, Crappies, and large Northern Pike. Prime fishing is early and late in the season, which is nice since rates are reduced during this time. 14’ & 16’ fishing boats, 18.5' ultimate Fish & Ski Boat, a 25’ pontoon or lifts for your boat are available for rent. Fishing Guide Service is also available. Cabin features full kitchens including microwaves. They are fully furnished including bedding, but please bring your own towels. Each cabin has a barbecue grill, picnic table and a color cable TV. Free use of non-motorized water toys including paddleboards, paddle boats, canoe, kayaks etc. Full marina for renting fishing boats, fish/ski boats, pontoons and jet-skis by the hour, day or cheaper for multiple days. Tubes and skis ropes etc. for rent. The Cabin is housekeeping which means you leave it as you find it. You are responsible for bringing your own towels for beach bath and kitchen. You are also responsible for additional kitchen garbage bags, the first one is provided.